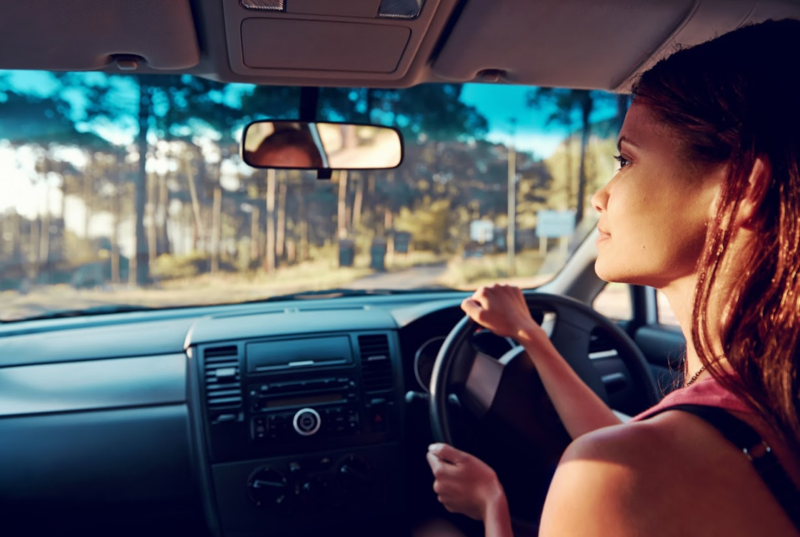 June is road safety month at Trent Driving School and over the next few weeks we will be examining some of the key ways to be safe out on the roads. Everything we do at Trent is to help learners stay safe on our roads and it fills us with pride when we receive feedback from our students saying that our training saved them. Core to our safety is our safety wheel, if you follow these simple rules then you cannot have a crash. We will be discussing these rules during June. I have trained learners that are missing arms or legs. I have trained deaf learners but I have never trained a blind person. Vision is critical to staying safe on the roads. During most crashes, one of the drivers gets out of the car and says ‘I didn’t see you’. While this is probably true there are things we can do to make sure that we see everything out there on the roads. Our eyes are hemispherical, we can see 180º in front of us. Our vision is broken down into central vision and peripheral vision. Our central vision is what we read with, it is a tiny area of focus. All the blurry vision outside of your central vision is called peripheral vision. Peripheral vision has a much faster response time than central and is our attention getter for our central vision. If we see something move in our peripheral vision we instantly shift our central vision to focus on it. This is a danger response that is built into our physiology. When we are walking we look about 40-50m ahead, this is fine while we are going ~6kph. When we are driving we will be going 10 times the speed. We need to be looking 400-500m ahead at 60kph and if we are getting out on the freeway at 110kph we need to be looking about 1km down the road. In addition to looking all the way down the road we need to keep an eye on everything on and off the road in front of us and behind. A good driver will be checking the mirrors every 10 seconds or more and be fully aware of all traffic sharing the road and also any potential danger around the road. Their eyes will always be on the move. One of the things that learners, and many experienced drivers, forget to look at are road signs. As a learner most of your focus will be on the controls and keeping an eye out for other road users, in my experience it takes a learner 80-90 hours of experience before they are able to include road signs into their driving. Before a learner can be safe on the road they need to be able to see and follow all road signs. In the modern day of GPS navigation many drivers are going ‘blind’ when it comes to road signs. I don’t want anyone reading this to be the person that drives into a lake ‘because the navigation said to”. What do we do when we see something?